It has been a year and a half since Apple launched its successful iPad. If you read technology sites all around the world, it would seem that the tablet will kill the personal computer. iPad make excellent gaming platforms among other things. I got a tablet in January 2011 and quickly passed it off to my wife. It has been less useful than it looked. Basically, I am sticking to the laptop and smartphone combination from now on, and will sit on the sidelines watching the tablet market with interest. In one year and one quarter since its launch, as of June 2011, 28.7 million iPads have been sold. Android tablets, sales are estimated at less than 3 million since their release. In one quarter, Gartner reports that almost 92 million personal computers, not including tablets, have been sold. That is in just one quarter versus five quarters of tablet sales. 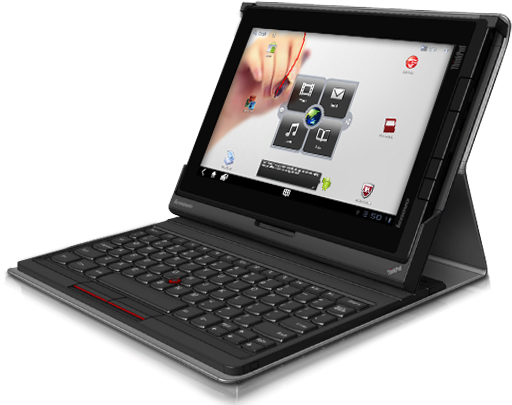 Could the tablet be the next netbook? Something to tide us over in though economic times? Tablets share a lot with netbooks. Like the netbook they are cheap and portable. Like the netbook they are of limited use. Overall, while tablets are more functional than netbooks, most of what you can do in a tablet, you can do on a smartphone. Android tablets have a higher mountain to climb. The latest generation of smartphones are really now mini-tablets. Lenovo tries to define a role for its tablet. Is the tablet the next netbook? Or are we entering the era of keyboard less computing. I think, tablet will fail as a productivity device, but makes a excellent multimedia and gaming platform. Basically, I do not see it going away, neither do I see it growing as much as predictive by experts. This one is too hard to call. Would love to hear you chime in. Desktop and laptops - 92 million.